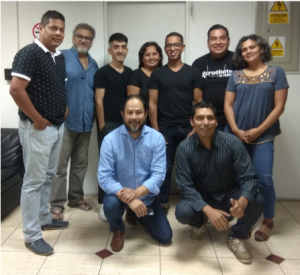 ImPrEP, Project for Implementation of HIV Pre-exposure Prophylaxis in Brazil, Mexico, and Peru, since the approval of the study protocol, in middle 2017, has worked to supply and qualify the study centers that are part of the project. Until now, here in Brazil, ten out of the fifteen study centers are already including participants in ImPrEP, they are: Fundação Osvaldo Cruz (Fiocruz/RJ), in Rio de Janeiro, the Reference and Treatment Center in DST/HIV/AIDS (São Paulo, SP), Service of Specialized Assistance in HIV/Aids Ceci (São Paulo, SP), SAE DST/AIDS – Fidélis Ribeiro (São Paulo, SP), Specialized Attention Service – Adults (Santos – SP), Fundação de Medicina Tropical/Heitor Vieira Dourado (Manaus-AM), Municipal Health Center Duque de Caxias (Duque de Caxias, RJ), Sanatório Partenon Hospital/SAT/CTA (Porto Alegre – RS), CTA/Downtown Polyclinic (Florianópolis – SC) and SAE of Hospital Universitário Oswaldo Cruz UPE (Recife – PE). The selection of the centers participating in the project was conducted by the Ministry of Health, together with the team of ImPrEP. The selection criterion was based on the centers that already offered testing and advisory services to HIV and/or PEP (Post-Exposure Prophylaxis). The forecast is that all study centers of the project are operational by late June, 2018. All study centers of ImPrEP pass through the approval of the local Ethics and Research Committee (CEP), which assesses the study protocol, and assures that the good clinical practices and good practices of respect to the research with human beings will be observed. Subsequently to the approval of CEP, it is carried out the qualification of the team of the center, the issuance, and receipt of the required medicines and equipment, the re-suitability of the Medicine Logistic Control System (Siclom) to the research. Only after all such processes and practices, the centers are considered able to the implementation of the ImPrEP study procedures and distribution of PrEP. 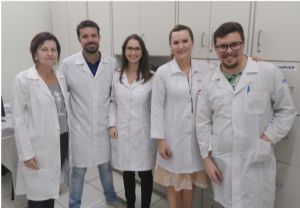 The study coordinator of SAE DST/AIDS – Fidélis Ribeiro, Specialized Attention Service – Adults, Bruna Coronato, highlighted the importance of the Implementation of PrEP, reminding that, together with other efforts, a large adhesion to PrEP will bring a considerable reduction of the incidence of HIV in Brazil. “And such audience”, she complemented, “already attends our service of CTA and SAE. We have projects of prevention agents and trans ambulatories in progress”, Bruna informed, emphasizing the purposes of the center in relation to ImPrEP. “Having and qualifying professionals engaged in the field of research in health, and making PrEP concrete as an excellence service”, she concluded. Emília Regina Scharf Mettrau, coordinator of Clinical Study/CTA-Municipal Polyclinic Florianópolis, SC, remembered the importance of more projects with prevention methodologies: “Brazil is among the countries where the incidence of new infections with HIV is increasing and mortality is kept stable over the years”, she affirmed. “The expectancy is that PrEP shows to be efficient and safe, supporting that such investment is valid and is inserted in the national programs of HIV prevention. Additionally, it is expected that, through the system of service and advisory about such prophylaxis, there is a dissemination of information on forms of combined prevention”, she highlighted. Juan Vicente Guanira, clinical director of ImPrEP to the study centers located in Lima, Peru, informs that the main challenge for implementation of PrEP in his country is “the commitment of time of the personnel of the centers to carry out training, the disclosure activities of the ImPrEP study, and the provision of information about what PrEP and PEP is to the target population of the project”, she highlighted. “We believe that we will achieve our goal of inclusion of participants within the expectancies”, she concluded. Julio Espinoza, coordinator of INMENSA (Medical Research in Health) in Lima/Peru, points out that, “the main challenge is to include the participants within a short time interval, to which we need to set the care hours of the doctors. “Another challenge is to transmit correct information to the participants. We carried out the research of iPrEx, where the efficacy of Truvada was evidenced, and now we have studies of the pharmaceutical industries and we are assisting patients living with HIV (public in general), he clarifies. It is an independent non-profitable organization, dedicated to the research and promotion of health and obtainment of well-being. The health professionals that compose the center gather efforts to undertake the commitment of putting their knowledge and skills at service of the community in the search for social well-being. Additionally, the clinic acts in the study of IPrEx and in IPREX-OLE. In addition to assist people that look for the services of prevention to HIV, they offer services of care for People Living with HIV/AIDS (PVHA) and provide the antiretroviral treatment through an agreement with the Ministry of Health. And they make distribution of PEP and PrEP to people that request them. In Mexico, the Specialized Clinic Condesa is the main implementing party of the project, located in the City of Mexico and in the state of Jallisco. Currently, the implementation process of ImPrEP is in progress due to the questions of registration of the medicine in the country. *With the collaboration of Marcos Benedetti (ImPrEP).